Hello from my underground bunker! Here’s an update on the upcoming novel. 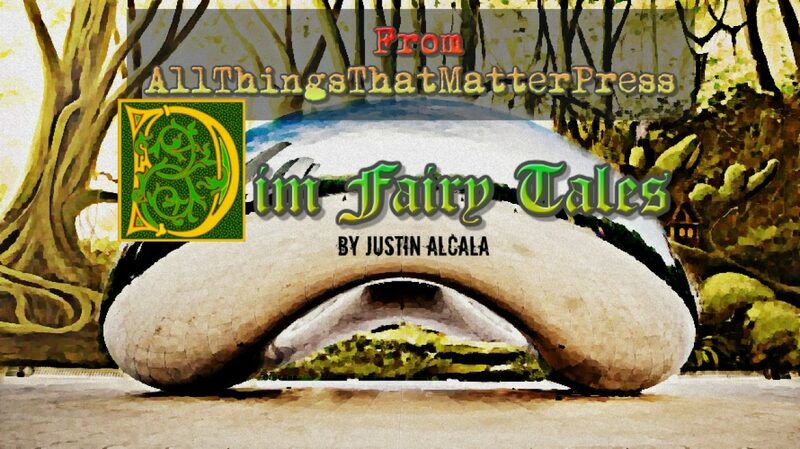 Dim Fairy Tales is currently in the “Queue” for edits with AllThingsThatMatterPress. Time tables depend on demands, but typically take a few months. The book is on schedule to be released by late 2019 (DEC). The truth can be tough, especially in writing. Authors aspire to tell a tale. They gather the courage to put it on paper. They present it to friends and family, receiving a roborant surge of encouragement that emboldens them to pitch query letters.Then finally, a publishing contract is signed and the editing begins. The editor, donned in all black complete with cape and eyepatch, sits down to look over the manuscript. The boots they tuck under their desk are worn from crushing dreams. They open up the writer’s story, ready to pounce. On cue, their sharp and evil eye spots an unnecessary comma, the use of then instead of than, and the misspelling of the word, accommodate. The editor clicks their Track Changes option, and the onslaught begins. Weeks later, the writer receives their manuscript back, marked with enough blood red font to illustrate the Battle of the Bulge graphic novel. Each comment causes the writer to scoff, shout and tremble. Before long, the writer has reworked their story so much that they’re huddled under a blanket in the corner, frozen on page fifty’s complete rewrite of the narrative’s abrupt pace change. But occasionally, editors don’t just rip apart a manuscript for the sake of their malevolent thirst for pain. Instead, they’re trying to improve the writer’s work. The editor, in their tenure, has learned how a book’s composition works, and asks for mutual trust when developing the manuscript. It’s through constructive criticism, tough questions and needed changes that a writer’s work truly becomes the story it deserves. The strongest steel is forged by the fires of hell. Letting your writer’s guard down can be tough when it comes to the editing faze. Most self-deprecation authors have already put themselves through the gauntlet. They’ve trudged through drafts and shades of their story for months. By the time editing is abound, some people are emotionally drained. Just remember though that your first draft is not your final result. I hear a lot of stories about mean editors. There’s a difference between disrespect and critical thinking. If your editor is flashing shade, it might be time to reach out to your publisher. Before you do though, know this. The chances of a writer being oversensitive about their work are far greater than the possibility that the editor enjoys collecting the sentimental skulls of writers for their mantle. Try to accept the fact that you might be going through a phase of denial. Then and only then, can you and your editor merge your talents to truly create something wonderful. Oh, to be part of the writing world. You dream up stories, then muster the courage to share them with readers. The tales you tell are one part of your DNA, one part experiences and a third part, well, magic or possibly even The Force. If you do manage to submit it to agents/publishers, chances are you’ve bottled a little bit of lightning. Well, now that all of that’s done with, what else do you do? Is it now in the hands of the Literary Gods? No way! There’s so much love that you’ve put into your work. It’s time to ensure that your manuscript survives the test of time. When my first book was published, I was on top of the world. I’d bled to get the manuscript out to the world, and for a long time was fearful that it would never get that spark to jolt it to life. So when I received an offer letter I thought, “Finally, I’ve made it.” No matter how small the publisher was, I felt vindicated, recognized and valued. To me, it was all going to be okay from here. Oh Justin, you fool. You’re as naive as you are devilishly handsome. The truth is that getting your book published is just the beginning. Beyond the cover choices, editorial changes and marketing strategy is the manuscript’s legacy. No, I don’t mean its reputation or future movie rights. I mean keeping your book safe. You see, publishers are awesome. Agents are amazing. But your book is timeless and eventually you’ll likely part ways with both. Once you do, hopefully you’ve developed its legacy well enough that readers five, ten or fifty years from now can still enjoy your story. Cue my reasoning. You see, in some ways selling a book is harder for publishers than writing the book is for the author. According to scottberkun.com, approximately three-hundred-thousand books are published in the United States alone each year. Now, add the fact that in 2014 only thirty-percent of Americans read one to five books, and suddenly you can see the issue. Only the trendiest books make money, the market is flooded, and the customer market is diminutive. So often when your book is published, the time table is limited. You only have so long to build consistent sales before your publisher lets the story go or the publisher goes under themselves. It’s now up to the writer to pick up the pieces and get their story back in motion. How do you do that? Well, there’s many different ways, but the first includes protecting your title’s rights. A lot of first time writers sell off all of the rights to their publisher because they were excited to receive a contract. Some publishers can keep the rights for your book long after taking it off shelves. Please be sure that your contract is written so that you get all of your rights back once the book is discontinued. Next, don’t just move on. Keep book one, book two, etc. active, no matter how many other projects you’re working on. Submit promotions and marketing to readers, social networks and podcasts. Write small spin offs and post them to popular writing sites. Join book clubs and share your book, while reading other author’s old novels as well. Finally, hunt down the old electronic manuscript and get ready to resubmit it. Though there only a select few publishers or agents that republish old work, they are out there. Be sure not to give up on your story. If you are a writer, you’re one in a million. You’ve managed to dream up a fantastic manuscript. You’ve survived all the trials from finding a publisher to the grueling editorial process. You’ve sold your book, and if all goes right, it will stay on shelves for a very long time. However, just in case it doesn’t, take the correct measures in order to protect your manuscript. You can never be too sure.